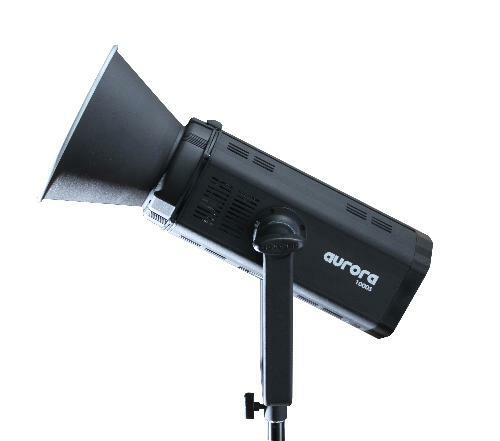 Aurora Lite Bank have brought out the 1000S, a cool-running continuous lamp that accepts your existing softboxes and accessories. In April I wrote about the Jinbei Sun EF-100 LED lamp, a continuous studio light that’s as bright as an 1000 Watt hot light while using less than a tenth of the power. 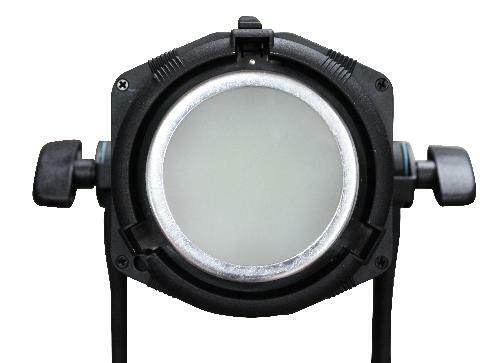 The unique selling point of the Jinbei EF-100 is that it has a Bowens S type accessory mount, so you can fit the same softboxes and light modifiers as you do to your studio flashes. Perfect if you’re just getting into video. It turns out that the Sun EF-100 isn’t one-of-a-kind, so if you didn’t like the Jinbei offering there is another option to consider. Aurora Lite Bank, a highly-regarded Korean lighting manufacturer, have brought out the 1000S LED. It’s a Bowens S-fit studio lamp with “luminance… equivalent to 1kW of tungsten light” using just 15% of the power. The firm are keen to promote to longevity of their LEDs. They claim that if a photographer uses them “8 hours a day and 5 days a week, Aurora LED lights will last 26 years without replacing lamps.” Not a bad choice if you’re sick of changing light bulbs and flash tubes! Without modifiers fitted, the LEDs have a beam angle of 68.3°. You can change this spread by attaching a reflector, softbox, snoot or other accessory using the standard S-fit bayonet. 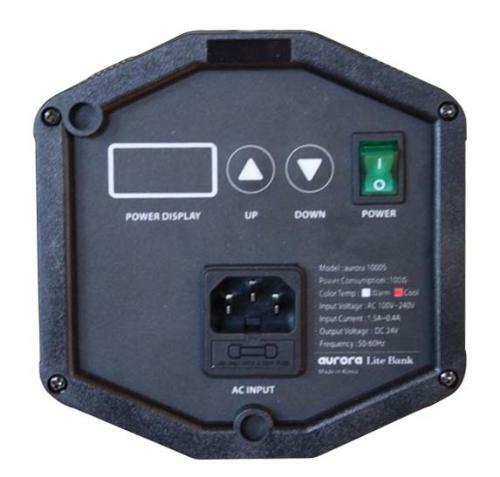 On the back of the 1000S, you can adjust power from 0% to 100% with “minimal colour shifting”. Unlike the Jinbei EF-100 there doesn’t appear to be a remote control option. A “500S” model and battery pack were glimpsed at a trade show last year. For more details, visit the Aurora Lite Bank web site. There is a list of international distributors here.